A few weeks ago I saw this combination on a fellow blogger’s page and my eyes lit up! The two are my all time favorite side dishes. You can do so many different variations. And to top it off, I added bacon. Now this was a winner plate in my house! As easy as boiling the peeled very ripe plantains and sweet potatoes until soft. 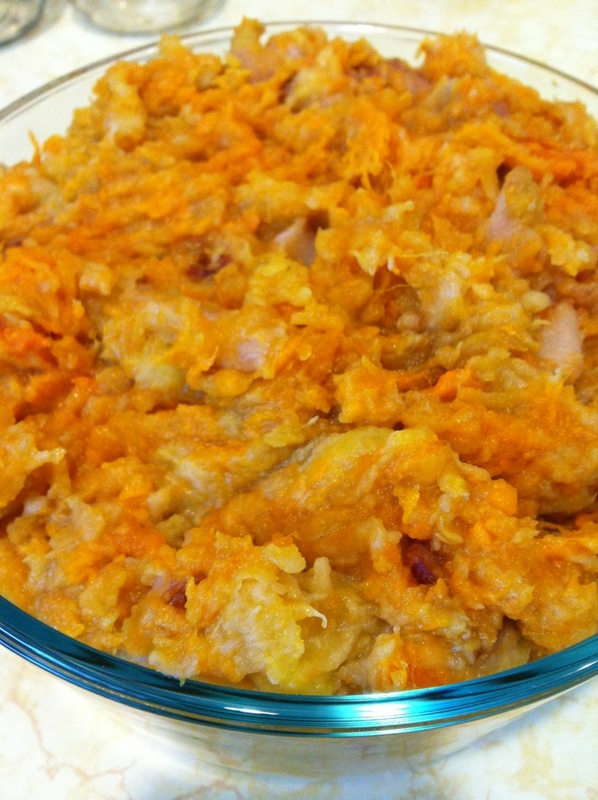 Add all ingredients together, mashing sweet potatoes and plantain together. Hey, is there a recipe for this somewhere, or a link? Teresa, it’s super simple. Here I used 4 ripe plantain and 4 sweet potatoes. 1 package of organic apple gate bacon. Just follow the method posted…. I don’t remember the initial blog where I saw it on. 😦 sorry.